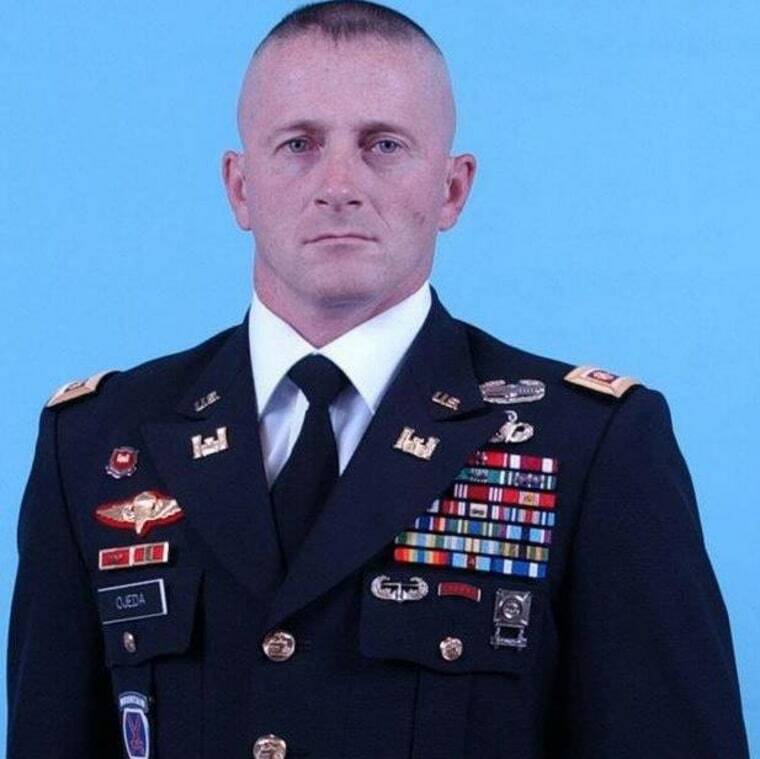 West Virginia state Senate candidate Richard Ojeda was brutally beaten during a cookout Sunday — just two days before his primary — and nearly run over with a pickup truck, Ojeda told NBC News. Jonathan Stuart Porter, 41, was in custody Sunday. State Trooper Zachary Holden told NBC News he was being held on suspicion of malicious assault, malicious attempted assault and felony destruction of property. In an interview from his hospital room in Charleston, Ojeda, 45, a Democrat and military veteran whose primary contest is Tuesday, said he had been at a barbecue in the mountains about 60 miles southwest of Charleston when Porter asked for a bumper sticker. Ojeda, who said he has known Porter since they were kids, placed one on the rear bumper of Porter's truck. Then Porter asked for a second one on the vehicle's front grill. "That's all I remember," Ojeda said. "When I woke up, my head was on a tree stump covered in blood. Everyone was looking at me." Ojeda suffered eight bone fractures and three lacerations to his face, as well as exterior swelling to his head, he said. Ojeda's primary opponent, state Sen. Art Kirkendoll, said in a statement that he was praying for Ojeda and wished him a full recovery. "I was informed that my opponent was physically assaulted and injured at a political function today," Kirkendoll said. "I do not now, nor have I ever, condoned violence. It has no place in our political campaigns or in our communities." Ojeda said witnesses told him that he was kicked and struck with brass knuckles, although Holden said he found no evidence of the weapon and Porter denied using them. Afterward, when the assailant got in his truck, a neighbor who witnessed the beating jumped in between the vehicle and Ojeda. "He feared Porter was going to hit him," Holden said. The attacker spun out in the gravel, and when a second neighbor tried to block his exit with an ATV, the driver rammed the quad several times, Holden said, adding that the man eventually ran over it — along with a second ATV whose driver also tried to block him. Porter called police and peacefully turned himself in after hiding out in the mountains for six hours, Holden said. Aside from a brief comment about the brass knuckles, Holden said, Porter refused to talk to authorities. A motive for the assault remained unclear, he said. To Ojeda, however, it was clearly premeditated — and it was all about politics. Citing what he described as the intense poverty, corruption and nepotism that plagues the region — and his campaign for transparency and good government — Ojeda said: "The moment you start asking questions, you become public enemy number one." "I'm challenging the powers that be," he added.